The Thema is perhaps one of the most controversial products of the group in the last years. When Fiat decided to rebadge the Chrysler 300 to sell it as a Lancia in Europe, lot of people in and outside Italy claimed that Fiat was killing the identity of the brand. By that time, early 2012, the group set a target of 10.000 units sold by year in Europe. It was clearly a small number that considered the fact that it is not a cheap car and is an American car. Its first full year results show that the Thema is a complete flop just as most of analyst expected when it was introduced. The problem with this big sedan is that it is positioned in a segment where competition is really tough and it is not the latest offer in terms of technology and features. 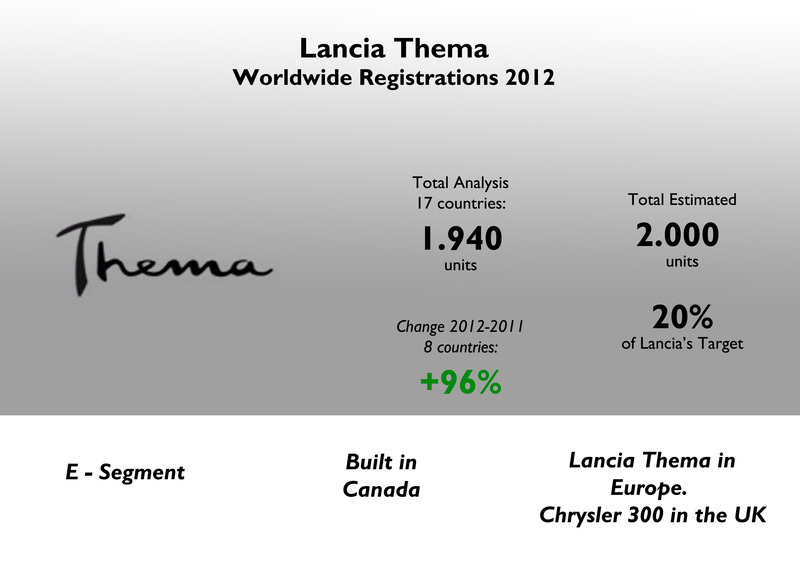 In 2012 Lancia sold almost 2.000 units of the Thema (UK included): 20% of the target, which is nothing. Nevertheless, Lancia’s flagship had a big jump year-on-year as in 2011, when it was introduced in some European markets, it had very small sales figures. 7 out 8 markets evaluated had increases on sales. But in Italy things didn’t go well either. Even if its sales registrations jumped 95%, the Thema is behind all of its German rivals. Its ‘native’ country counted for 40% of total sales. Curiously the UK, where the Thema/300 was late to arrive, became the second largest market. 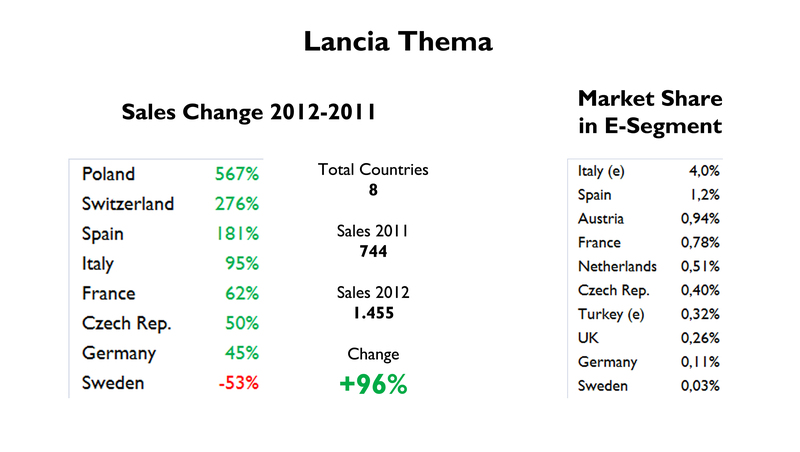 In terms of share the Thema got its best in Italy, with around 4% of E-Segment. It was followed by Spain where this big car got 1,2% of that segment. Too bad for Germany: 0,11%. This car is supposed to be on sale for at least 2 more years. Lancia and Chrysler should be working now on a new generation taking into account both markets, the American and European, needs. The next Thema (I doubt it will continue to use that name in the future) will have a more global identity. Meanwhile the current Lancia Thema will continue to be offered and its sales will be testimonial. At the end, this car is doing its job: it allows Lancia to have a wider range of products, with a flagship sedan ideal for executives and company fleets. It is not popular, but it is the way Lancia can continue to offer a big sedan while better times come. Carlo, ti ringrazio per il tuo comento. La Thema è un ottimo prodotto ma come tu dici, il suo problema centra soprattutto la marca: quando si pensa a macchine di lusso la maggior parte della gente ha in testa le tre della Germania. Quindi, un prodotto così bello non avrà nessuna possibilità se il suo marchio non è posizionato bene. Perciò Lancia deve lavorare più nella sua imagine. Comunque, la Thema/300 è una macchina molto interessante. Pensate avrebbe fatto meglio con il marchio Chrysler sul cofano? Carlo,ricordati che il cambio solo nella versione benzina 3.6 è l’8 marce.Con i diesel c’è il 5 marce benz. Thema is an excellent car but it needs smaller engines! The e-klasser for example starts with a 1.8l engine… Next step is a 2l engine and it has smaller diesel engines… Thema on the other hand has a 3.6l gasoline engine and a 3l diesel engine! It would be nice to know how many 1.8 or 2.0l e-klasser or 5-er are sold every year. I believe that most of 5-er and e-klasser are sold with the small engines. The Thema has not only been a sales disaster, it has diminished the image of both Lancia and Chrysler (which the car really is). As a Chrysler, the 300 sold in multiple times higher quantities than the current rebadged Lancia model, except perhaps in Italy. Unfortunately Lancia lacks market awareness north of Italy where Chrysler had developed a much stronger presence.. Thank God Walter Chrysler and Vincenzo (?) Lancia are spinning in their graves in opposite directions. Otherwise the tectonic activity would be cataclysmic! Lancia and Chrysler are now the same company, so they won’t rebadge their models, but they will have the same range specially adapted to their own markets. Fiat stoped selling Chrysler and Dodge in Europe as there is no space for so many brands in one continent, when Lancia and Alfa Romeo are struggling to survive. I own a Chysler 300 C and LOVE it, but I fell in love with a used Lancia Beta import in my youth. Call me a romantic, but it seems a shame we should loose either of them to “badge engineering”, Juan. The folks at FIAT seem fairly bright (save for that god aweful tin can rust bucket they shipped over the Atlantic in the ’80s, the 124, I think). Can’t they figure out how to sell the classic American luxury muscle car AND an iconic Italian sports car. When I think Lancia I don’t think Ferrari, I think of a Camero that can hold the turns. Hot, but accessible. Its fairly clearly evident that BMW hates its customers (at least in the US). I chose the 300 over the BMW 5 series. Isn’t there some room in Europe and the US for a classic Itallian alternative? The Japanese have fumbled the ball here, guys. 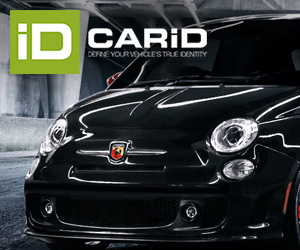 The 500 is cute and all, but FIAT needs to step up to the plate in a real way here. 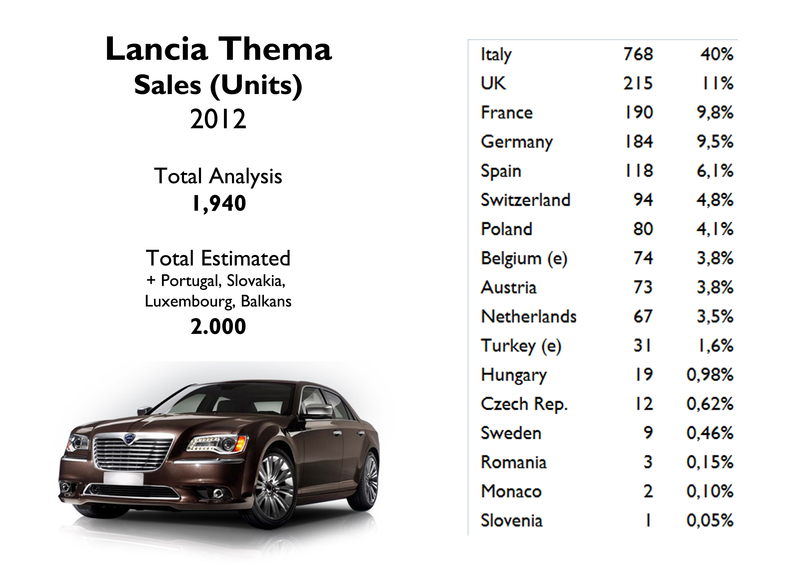 I rarely drop comments, but i did some searching and wound up here Lancia Thema 2012 Full Year Analysis | Fiat Group’s World. of these comments appear as if they are coming from brain dead people? Hi, why do you need that information?